In April 2010 Russian President Medvedev paid a state visit to Norway. The highlight of this visit was a surprise announcement – after 40 years of negotiations – an agreement on the division of a disputed zone in the Arctic Ocean into roughly equal parts for Russia and Norway. A newly agreed Arctic maritime delimitation line was announced accompanied by treaty provisions for new rules and procedures to ensure responsible management of natural resources. The disputed territory measured 175,000 sq km which is equivalent to about half of the land territory of Norway. Experts believe that the oil potential of the formerly disputed parts of the Arctic Ocean could be more than 5 bn metric tonnes of oil – 10-times Saudi Arabia's production potential and still larger gas reserves 10,000 bn cubic metres of natural gas – five times Norway's proven reserves. But experts argue the high cost and inaccessibility of these resources mean large-scale development of these resources could be years away. Russia has long held an interest in the Arctic. Indeed, Russia underlined the importance of the Arctic by declaring its plans to make the Arctic Region its primary resource base by 2020 in its 2009 Arctic Strategy. PM Putin visited Russia's Arctic territory shortly after President Medvedec's visit to Norway last year, where he proclaimed the Arctic's importance was in “Russia's deepest geopolitical interests”. Russia sees itself along with Norway as the two “principle Arctic countries” although it reluctantly acknowledges the need for cooperation with the other Arctic countries: US, Canada and Denmark. However Russia's political ambitions are not reflected by its technical and financial reality. 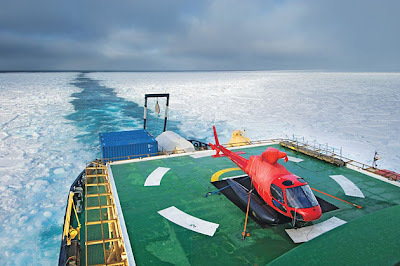 Russia badly needs international technical expertise to implement cutting-edge projects in such difficult acreage, and money to begin exploration in the offshore Russian Arctic. Hence the recently announced deal in January this year between the British company BP and the Russian company Rosneft to work together to extract oil from above Russia's Arctic Circle. The deal recognises the importance of BP's geological know-how with BP swapping a 5pc stake in itself for a 9.5pc share of Rosenef. China is not an Arctic state. Nor does it have an official Arctic Strategy yet. Nevertheless it is increasingly active and vocal on the international stage on issues concerning the region. Chinese oil companies are not yet in a position where they can offer technical expertise. But in the near future, it is highly possible that China could become a major player in the Arctic by financing Russian activities in the region. It is estimated that the Arctic region holds 25pc of the world’s oil and 9pc of the world’s coal and it is one of the last remaining regions that has not been mined for resources. What is the future for the Arctic? 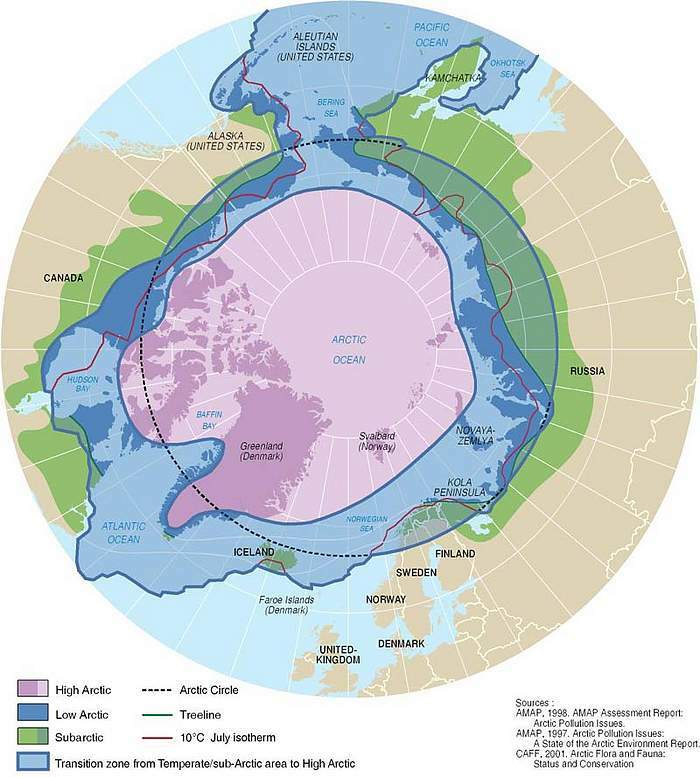 In the 21st century, the Arctic is fast becoming a new Geo-strategic region in natural energy resources, as competition for its massive untapped reserves of oil, gas and coal heats up. The presence of natural resources has increased the incentives for Arctic countries to settle old maritime territorial claims, largely because no private company will invest without them. But the process of deciding who owns what is aided by international law but often not fully resolved. As a consequence, we should expect much competition and jostling in the foreseeable future among the 5 Arctic countries and their investors as they stake their claims to the Arctic's wealth of natural resources. But it is also worthwhile remembering that resources are not always mined because they are there but rather because the price is right or because the politics are right (preferably both). The key issue in large parts of the Arctic will be to understand the political risks and whether the necessary long-term investments in infrastructure are made in this previously unexploited polar region. Really interesting. I hope this issue don't makes world goes crazy with it.